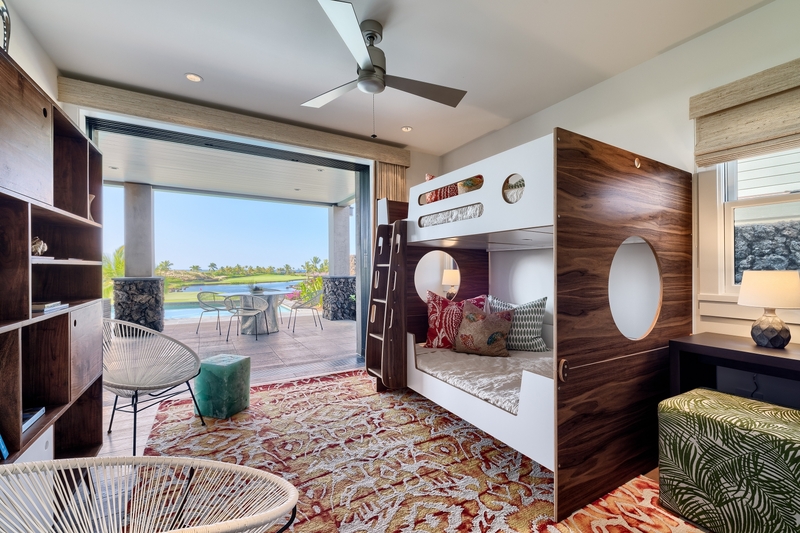 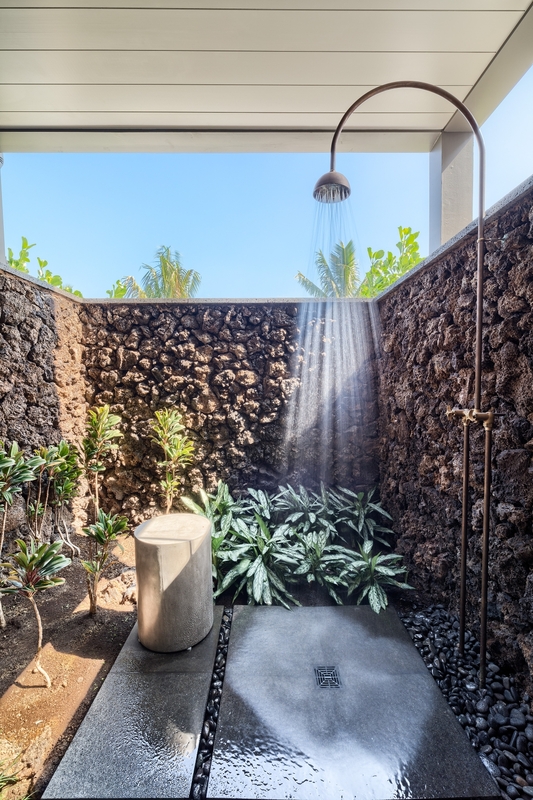 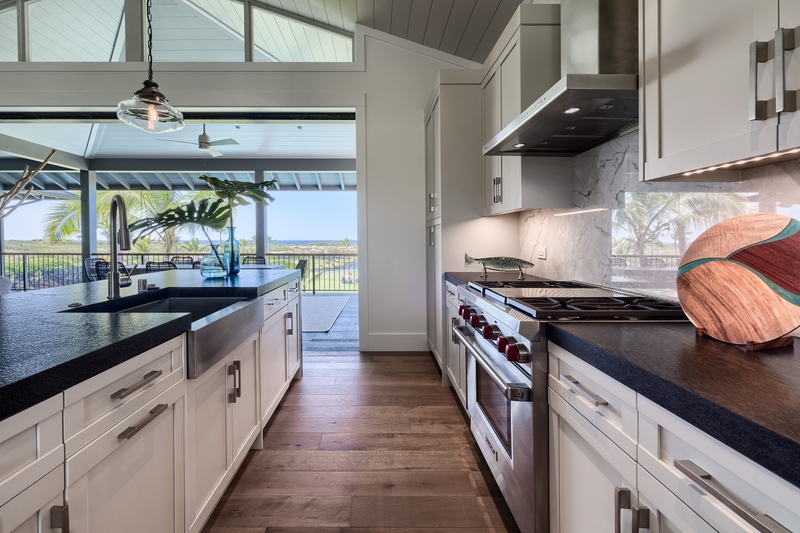 Kohanaiki, a 450-acre, private residential community located on the Kona Coast of the island of Hawai`i, recently unveiled its new Hinahina Residences designed by renowned architect Warren Sunnland. 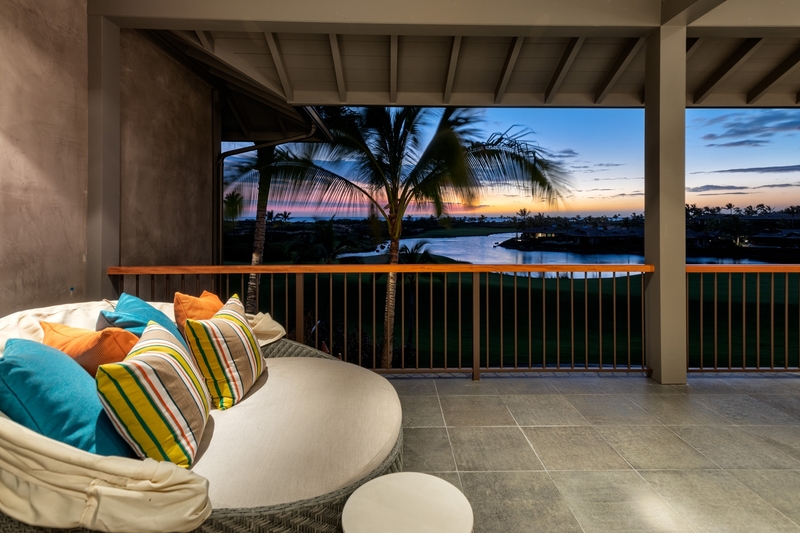 The first new development of its kind on the Big Island in nearly a decade, Kohanaiki represents an evolution of the private club experience. 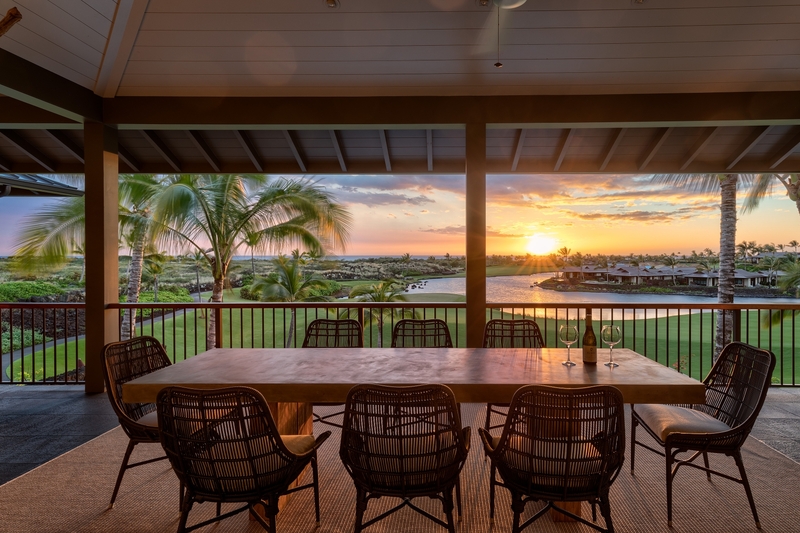 The property is instilled with a welcoming, relaxed and comfortable lifestyle that is reflected in the warm and graceful attentiveness of the staff and the sense of genuine community among members. 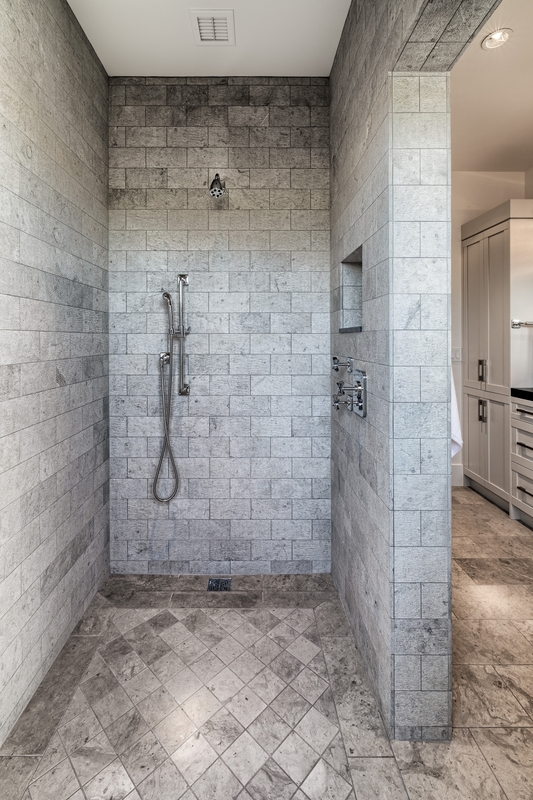 PanaViz was tasked with photographing the various luxury homes offered in this development. 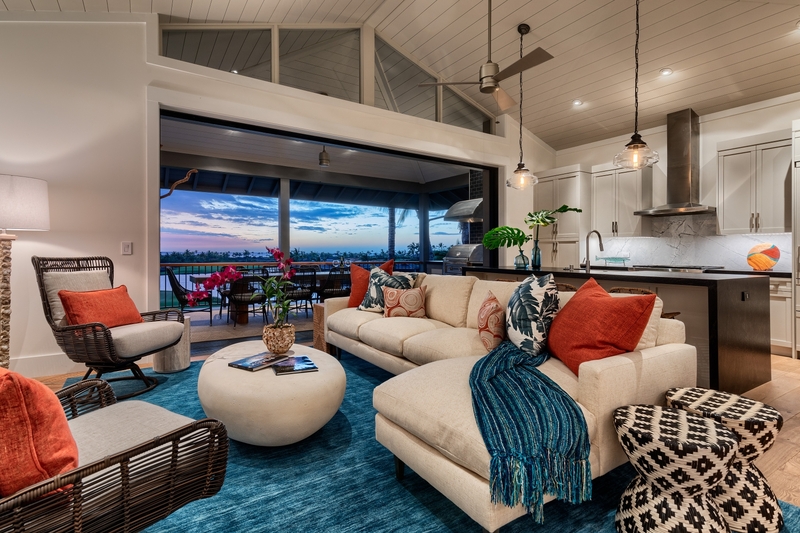 These homes were designed, built and furnished by various world renowned architects, builders and design firms. 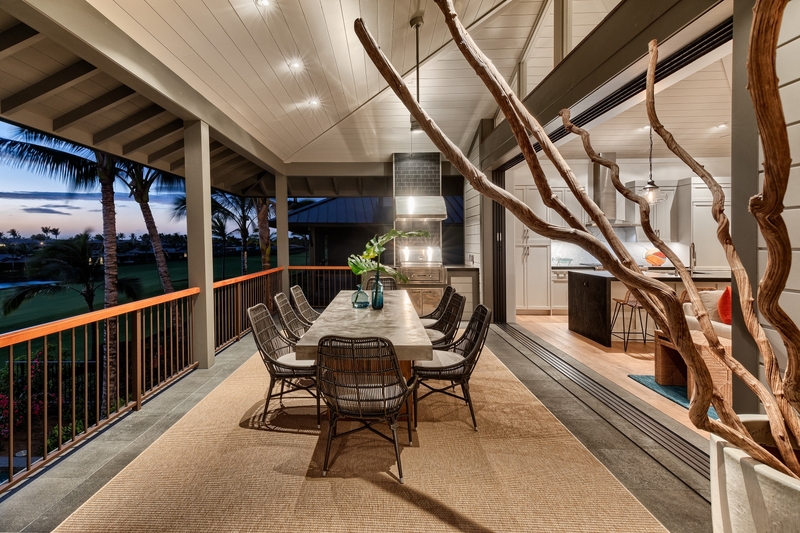 The Hinahina Residences grace one of the most private settings in all of Kohanaiki adjacent to 1,160 acre Kaloko Hon?kohau National Park. 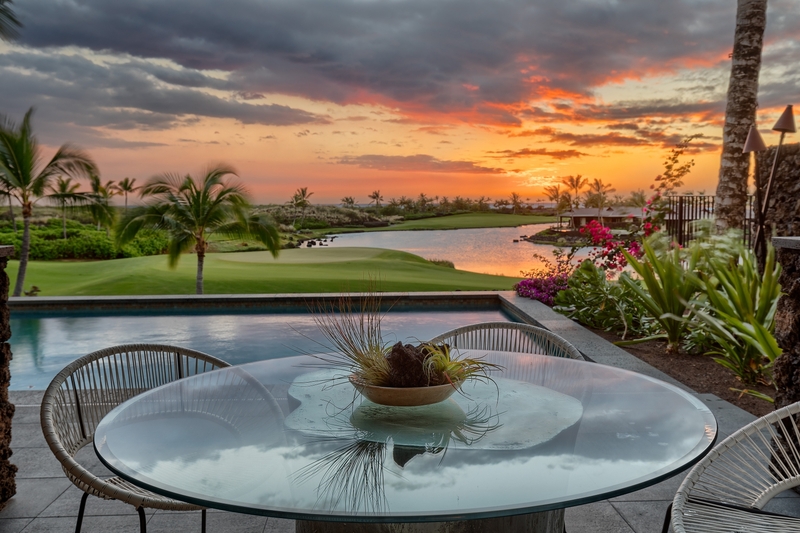 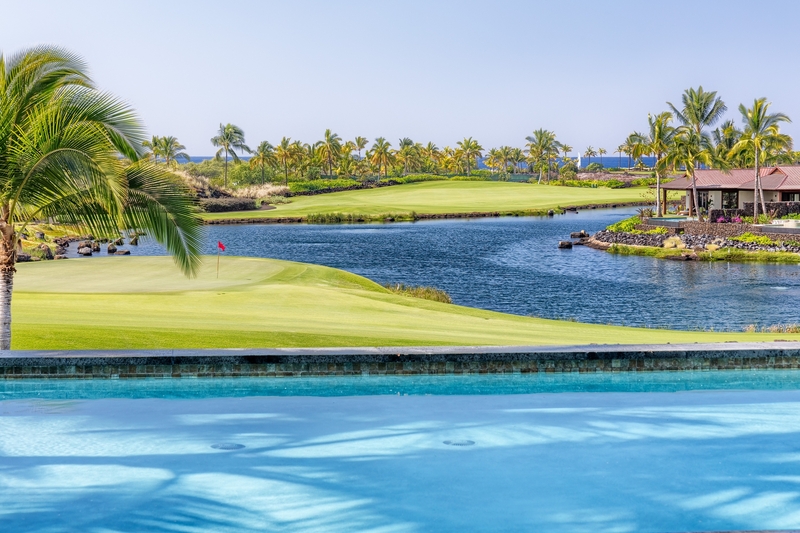 Designed by renowned architect Warren Sunnland, these 2-level residences are situated along the 7th fairway and enjoy ocean, golf course, and lake views to the west and sunrise views of Hualalai and Mauna Loa from to the east. 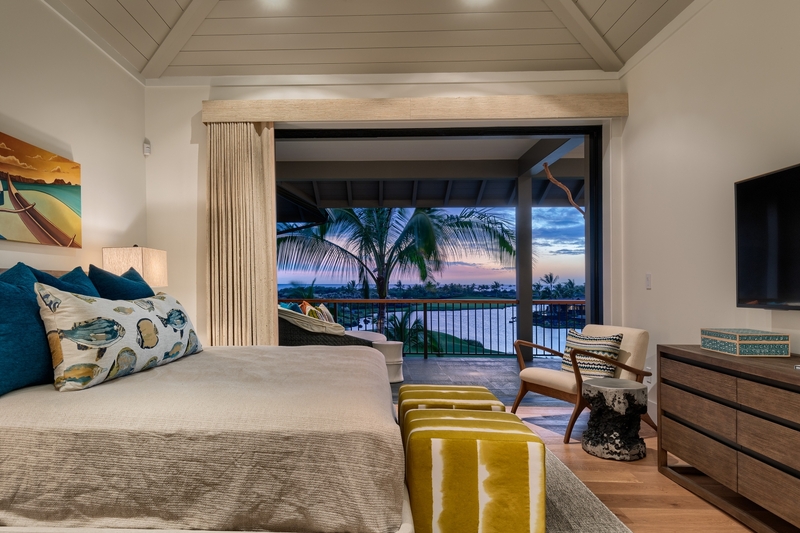 Hinahina Residence 6 features a great room, kitchen, and master suite on the upper level with ocean views and views of neighboring Kaloko Honokohau National Park. 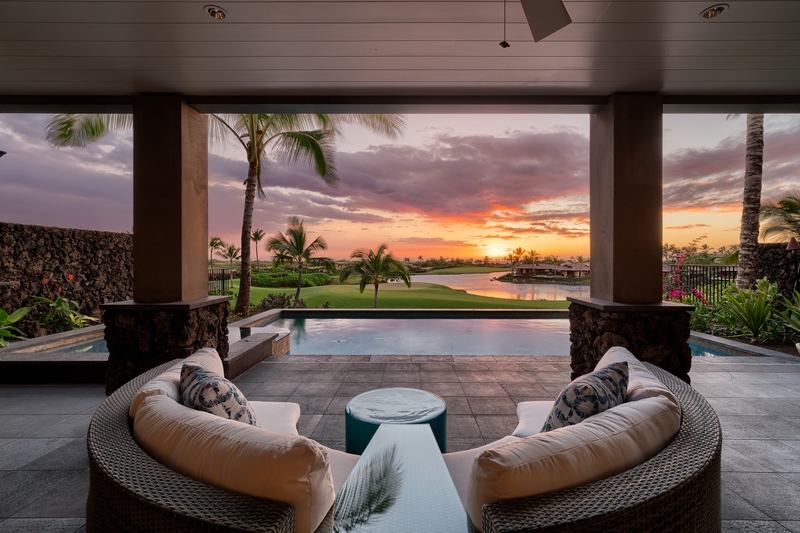 The ground level offers a retreat and two guest bedrooms, opening up to a spacious lanai and landscaped private yard with a swimming pool and spa. 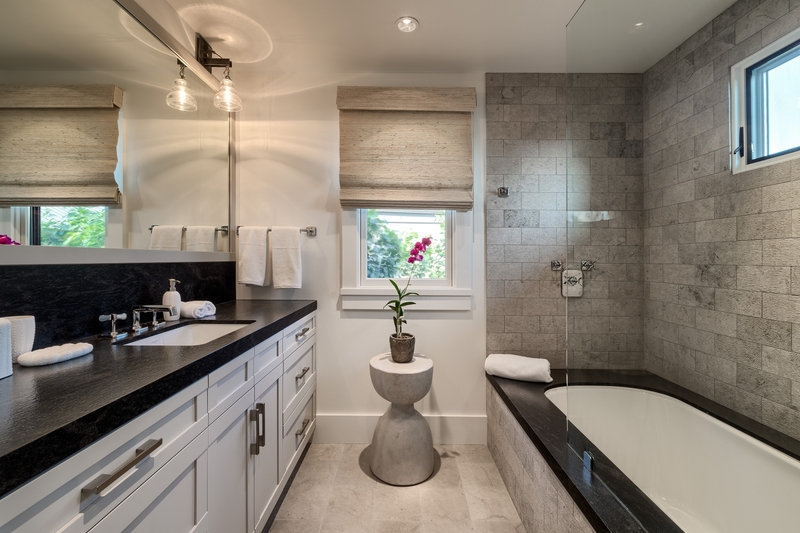 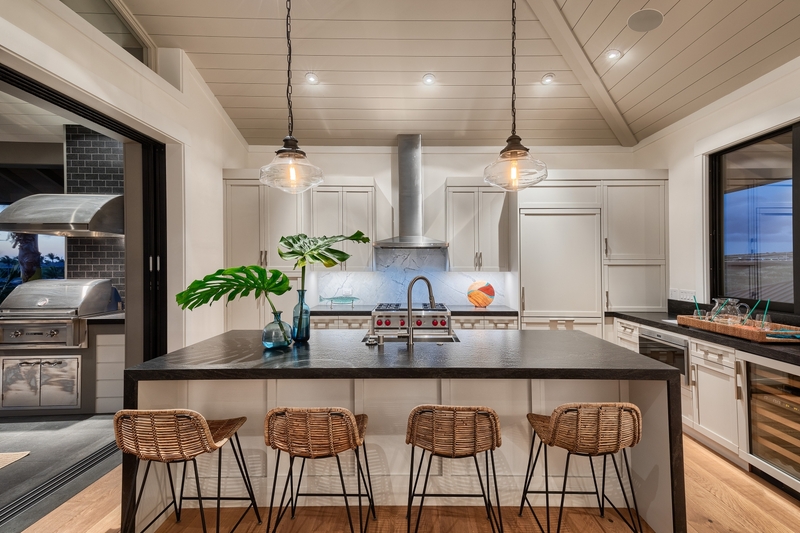 This home comes fully furnished with a package by Henderson Interiors. 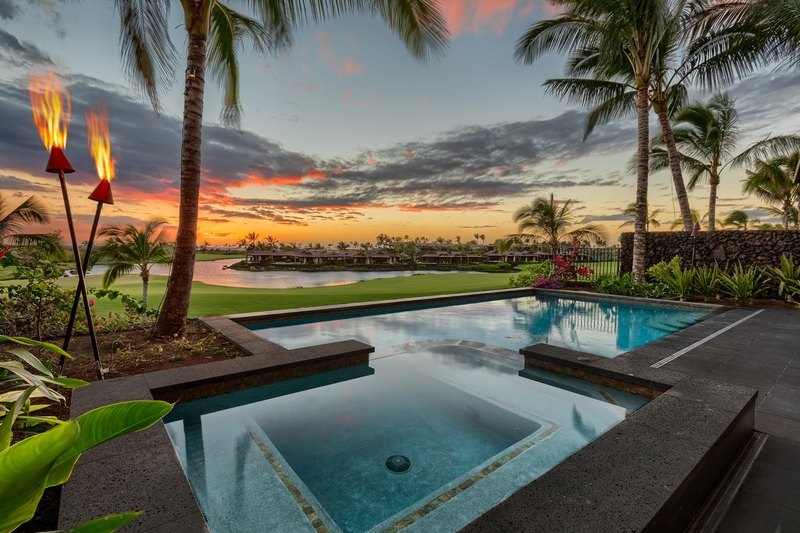 Keep up with PanaViz Photography here.